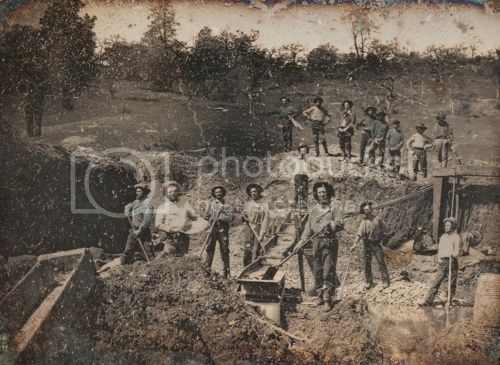 Old time placer claims can differ greatly in the methods used to extract gold. Small scale operations range from panning to rocker boxes to wing damming the river and using sluice boxes. 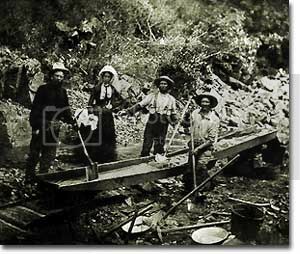 Large scale placer mining was generally done with either hydraulicking (using VERY large garden hoses) and washing away whole mountains, to doodle bug dredges and dynamite. Google dutch flat, placer county california, or malakoff diggings for a good idea on how much material tje old timers moved to get gold. Malakoff Diggings was actually the operation that started the whole ban on hydraulicking in 1892. They washed so much over-burden into the yuba river it flooded areas downstream all the way to Sacramento, raising the river basin by as much as 20 ft in some locations. Desertphile, goldenIrishman, Lanny in AB and 2 others like this. Wow that's crazy. I'm going to look that up. Thanks for your help. I'm working a creek in far north east Georgia. Anyone got any idea about how the placer mines worked back then in that area? It's hard to find any history of those mines. Yeah.... I remember reading about that in 4th grade history class. (California school system) They tore up entire mountains with their monitors, Clogged up rivers and streams so salmon couldn't get up them to spawn and did a wonderful job of messing up entire areas for miles. A lot of people don't know that there used to be salmon streams as far south as the Santa Barbara/Ventura area. As far as your area goes I don't have a clue how the old timers did it. You up near Rome by chance? I lived in Warner Robins for about 6 years but there wasn't any prospecting going on there that I know of. Moved there for the fishing and all I caught was bait!! I'm prospecting in rabun county. But i live in Oconee. Just trying to get all the help i can get lol. Never heard of Rome except the country lol. That a place in ga? Anybody do any prospecting in the reno area. We have two local clubs, both have claims in Calif. 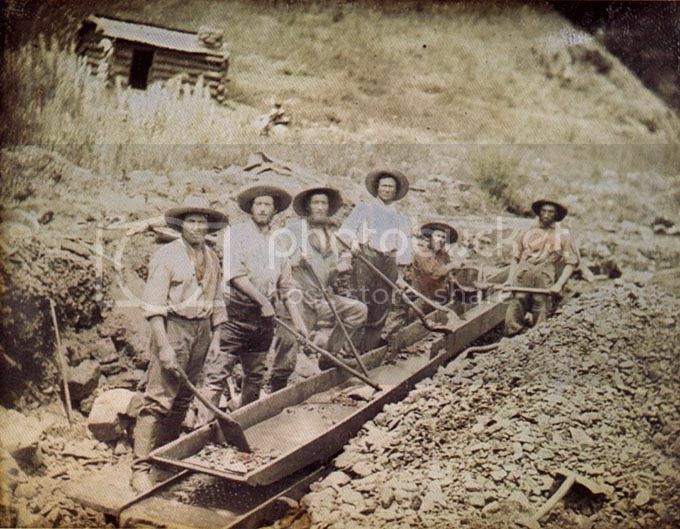 There are a few old westerns that show the placer mining in action. Ahh... My bad. I was thinking N.W. Georgia, Not N.E. isnt the term "Placer Mine" an oxy-moron? Last edited by kuger; Mar 14, 2013 at 12:54 PM. Oakview2, spillercanyon, DizzyDigger and 1 others like this. a surficial mineral deposit formed by the concentration of small particles of heavy minerals, as gold, rutile, or platinum, in gravel or small sands. Thanks for all the help. There is not much evidence of old mining activities, but from the lay of the land the age off the trees surrounding the area it looks like there was a cleared ground going along the creek. That area also has no gold in it based on my sampling. That doesn't mean it's not there just not easy to find if any. But when i go down stream to where it goes from flat land to valley and rugged terrain I'm finding gold. I'm thinking the flat land has been mined extensively because of its ease of access. Wish i had a time machine lol.